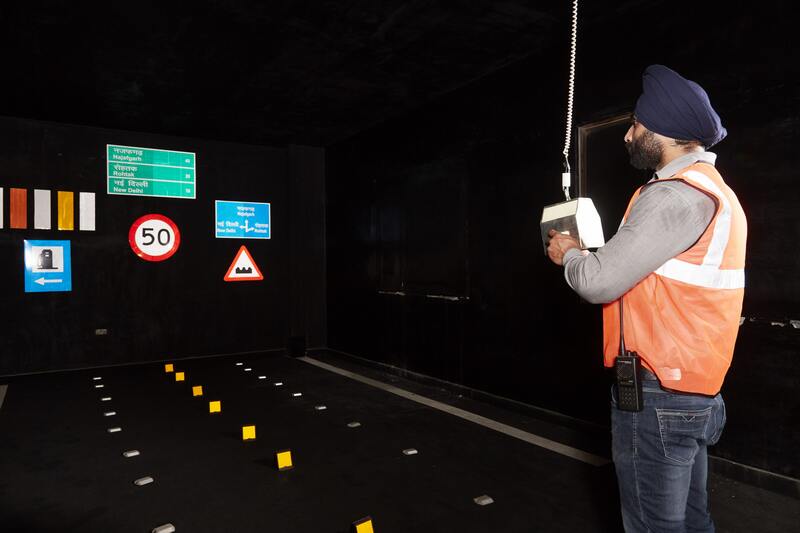 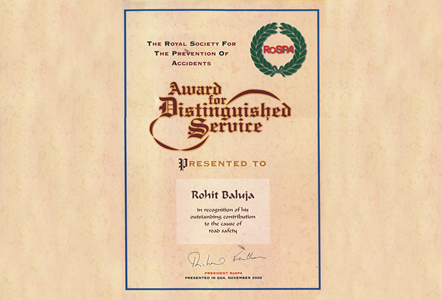 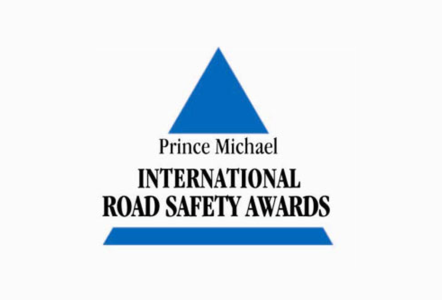 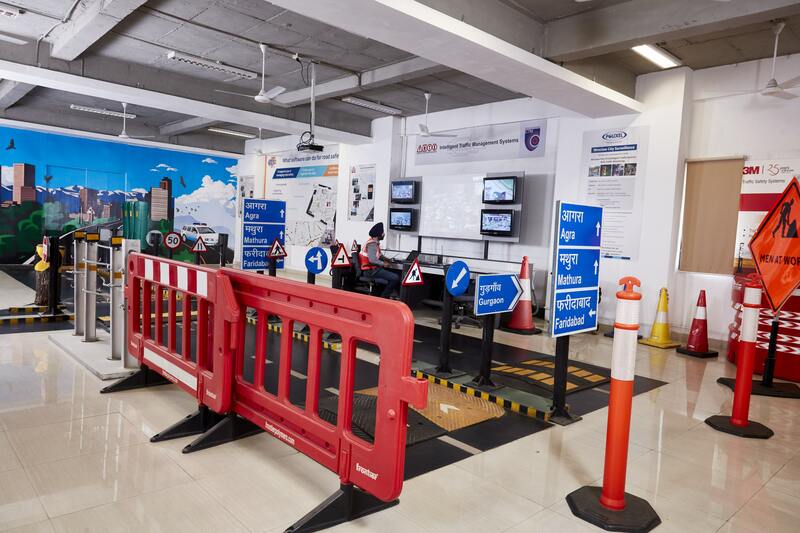 With 26 years of our experience, we firmly believe that Road Safety forms the basis of a scientifically managed traffic management system, and therefore the science of traffic management needs to be promoted, not only in India but also in other emerging economies of our region. 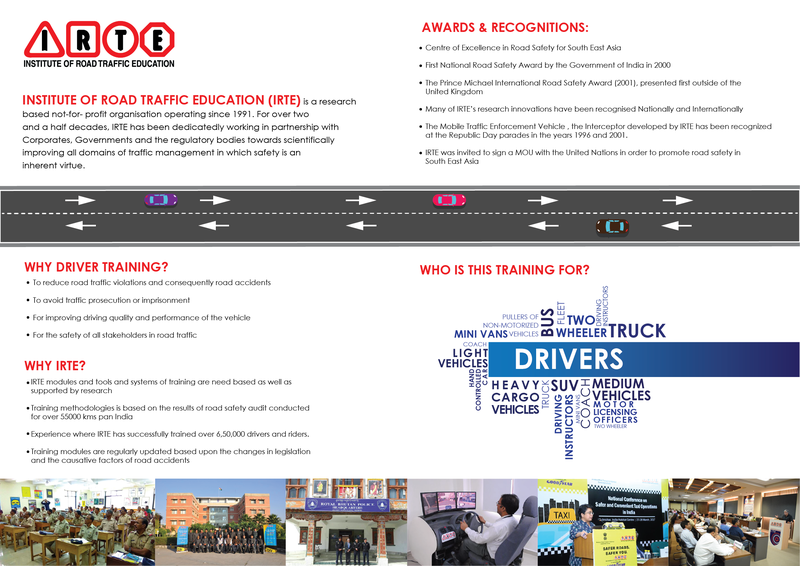 Based upon our 26 years of research and data collected therefrom, time is opportune to transform this rich literature into formal academic methodology by creating the first ever Masters programme in Traffic Management. 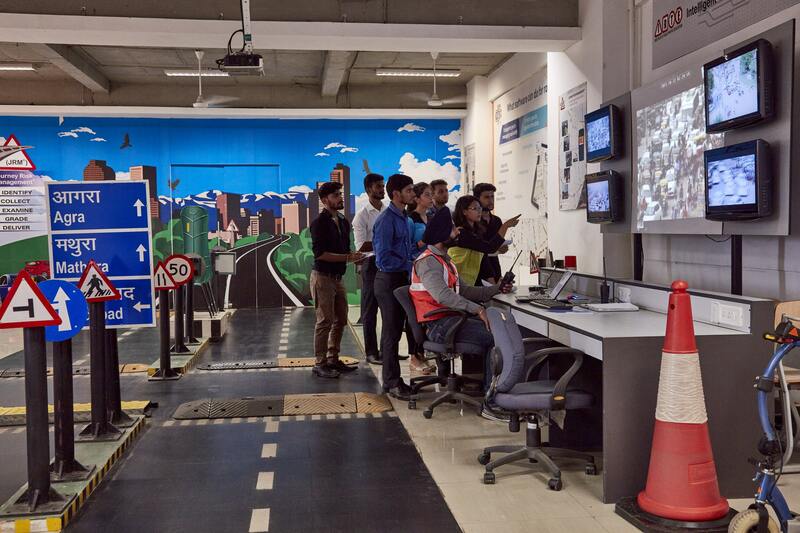 Our curriculum lay emphasis on a safe systems approach in all the domains of traffic management and is affiliated to Maharshi Dayanand University (MDU), Rohtak, Haryana. 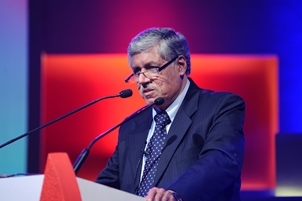 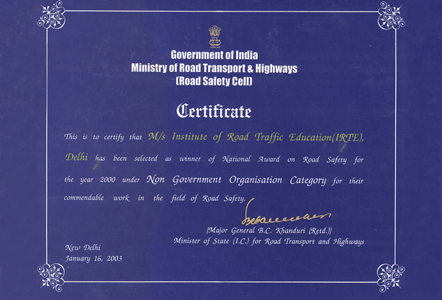 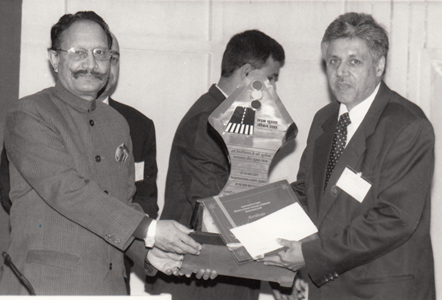 Such a program would support human resource development for many organisations such as concessionaires who are building and maintaining our highways, transport department, police personnel, insurance agencies, fleet management organisations, real estate management organisations and those in the field of transport planning, urban development amongst others.